Can you believe it is already March?! I feel like 2018 has been flying by and it is turning out to be a pretty great year so far! With it being March now it means that Easter is around the corner as well! My husband will say with it being March it’s his birthday month but as women we know we need to get ready to decorate! 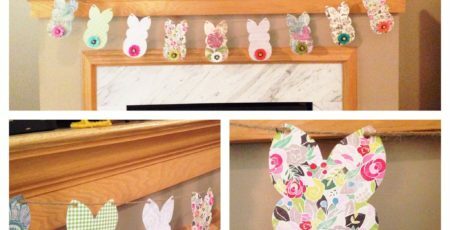 It’s fun to decorate for Easter because I love the pastel colors. It’s not something I typically decorate with so adding those fun colors to my decor for a short time is kind of nice. I recently got a cutting machine and I’m having so much fun exploring it. Something I have always wanted to make with my cutting machine is flowers! 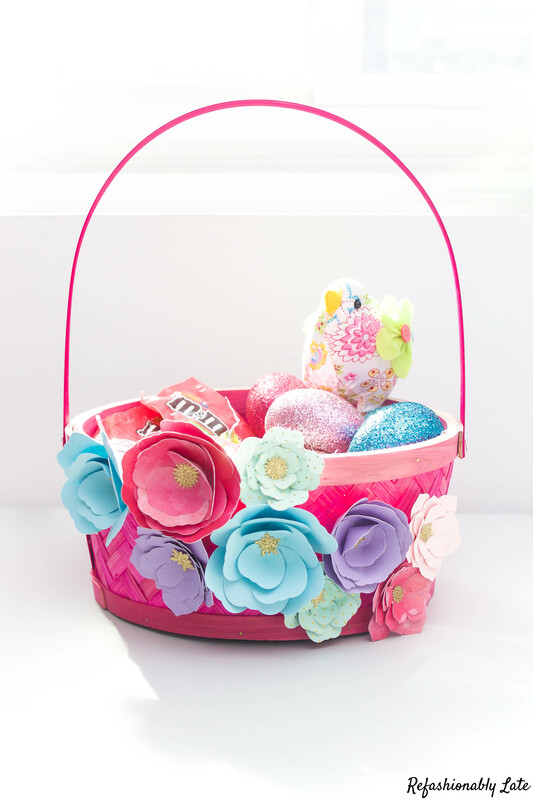 I have seen so many beautiful creations made with flowers and I thought adding some paper flowers to an Easter basket would look so beautiful! 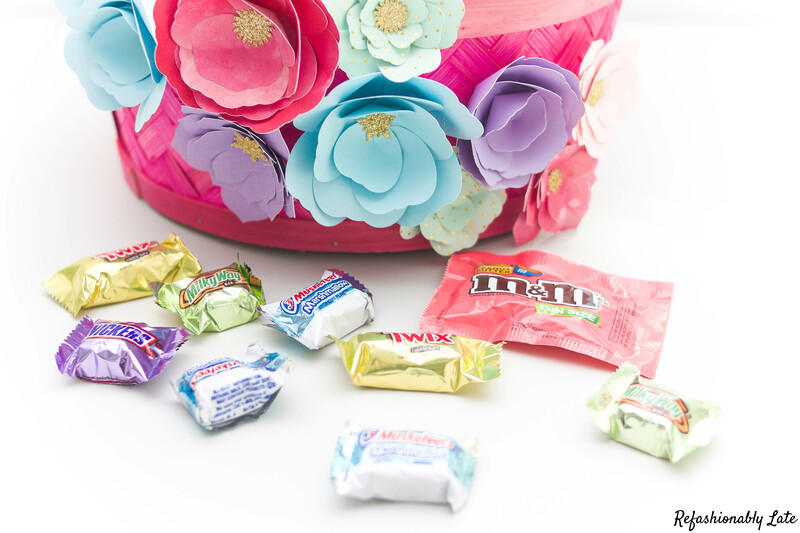 Then to top it off, add some beautiful pastel colored candy to add more to the decor. I loved the colors in the Mars Chocolate Spring Mixed Minis Bags! 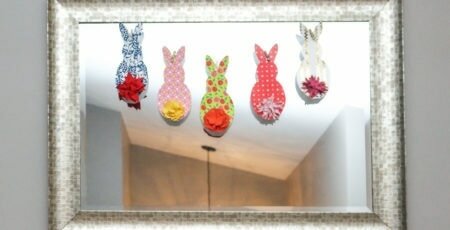 They are great for decorating your Easter basket and filling Easter eggs. Plus you get to enjoy all of your favorite candy in one bag! A little variety for everyone! You can buy your large bag of yummies at your local Sams Club! Hover over the image below to purchase your bag of Spring Mix Minis! 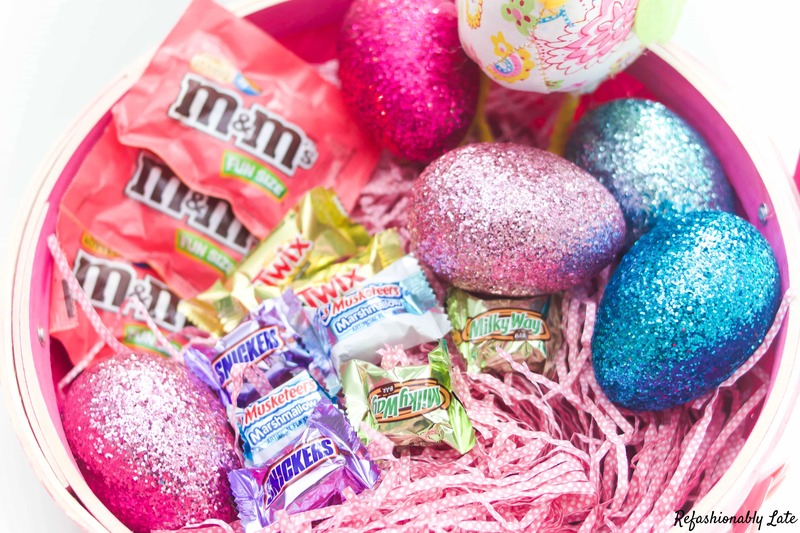 To start off your transformation find an Easter basket that you want to enhance. I picked mine up at a local store for $2.50! 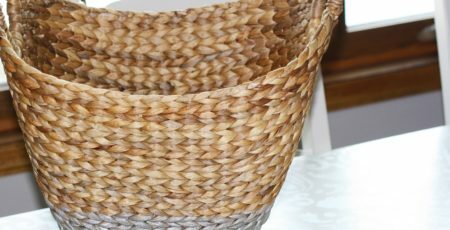 Chose the papers you want to use that match well with the basket you purchased. 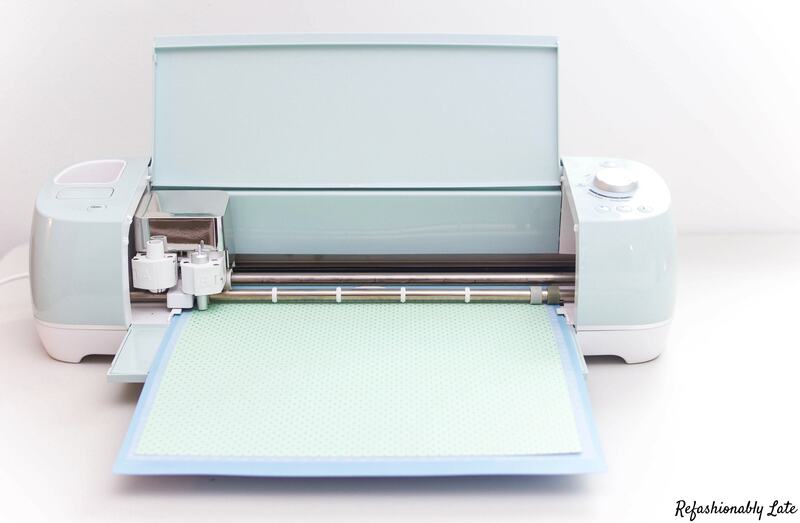 I went with a teal polka dot, light pink, violet, light blue and a dark pink watercolor paper. 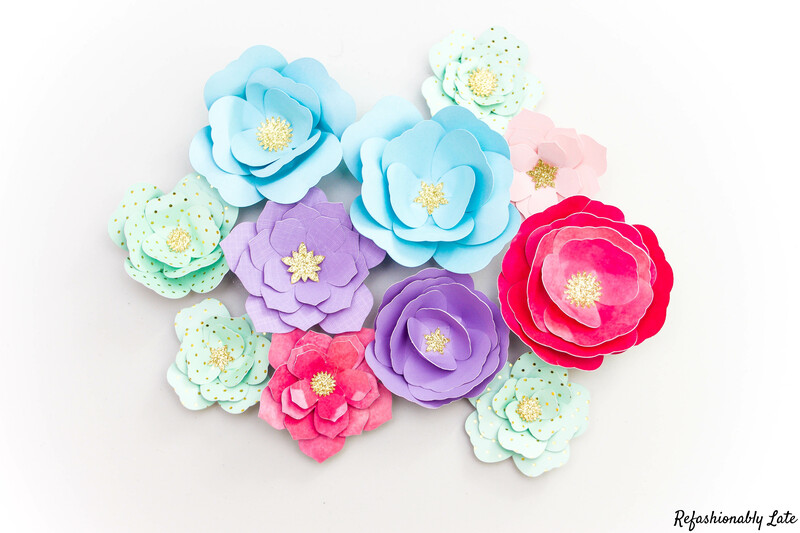 You can find so many different templates online for paper flowers! You can purchase some on Etsy or find lots of free ones on Pinterest. The great thing about making paper flowers is you don’t have to have a cutting machine to make them! It does make the job go a little bit quicker but it’s not necessary! Find a template online and then cut the pieces of the flower out by hand. Since I have a cutting machine at my house I cut each template out with a different colored piece of paper. Once everything was cut I started to assemble the flowers. Each petal you will want to crisscross the petal at the cut. 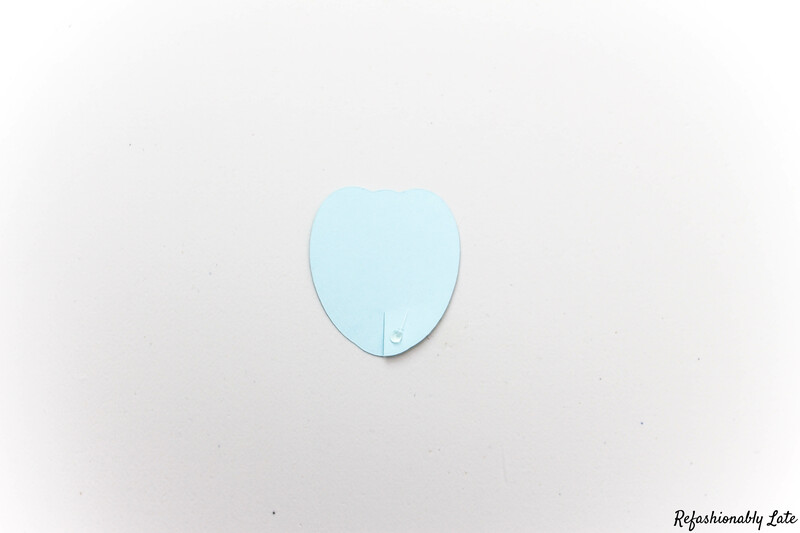 On the larger petals, you will want to do a smaller cross as you want them to lay more flat. The smaller petals you cross at the bottom of the petal a little more. This way it will stand up more in the center of the flower. 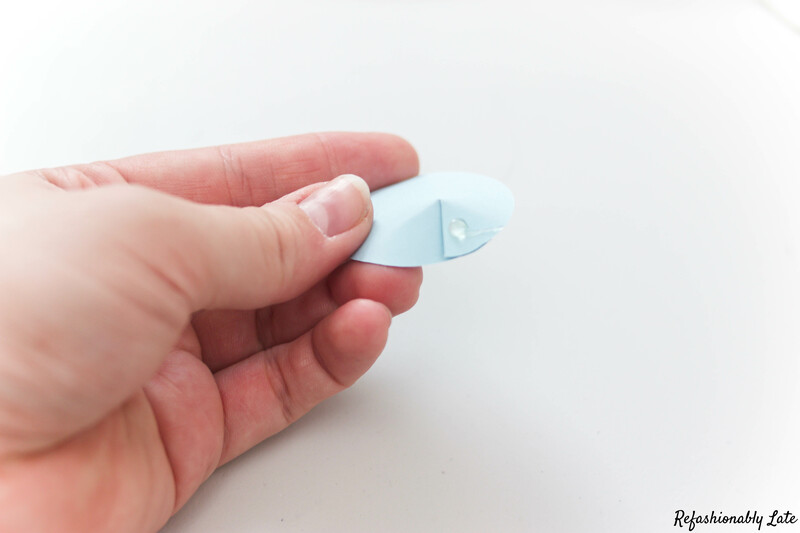 Add a dot of glue (I used a hot glue gun) to glue the two pieces together. After they are dry then add a dot to your base of the flower. Add it to a circle cut out which will be the base of the entire flower. It takes a little time assembling all of the flowers but the more I made the faster it went. You get the hang of it! Plus the outcome is so pretty! It was then time to glue the flowers to the basket. I started with gluing one of the larger ones on first and then adding more surrounding flowers to the basket until I was finished. 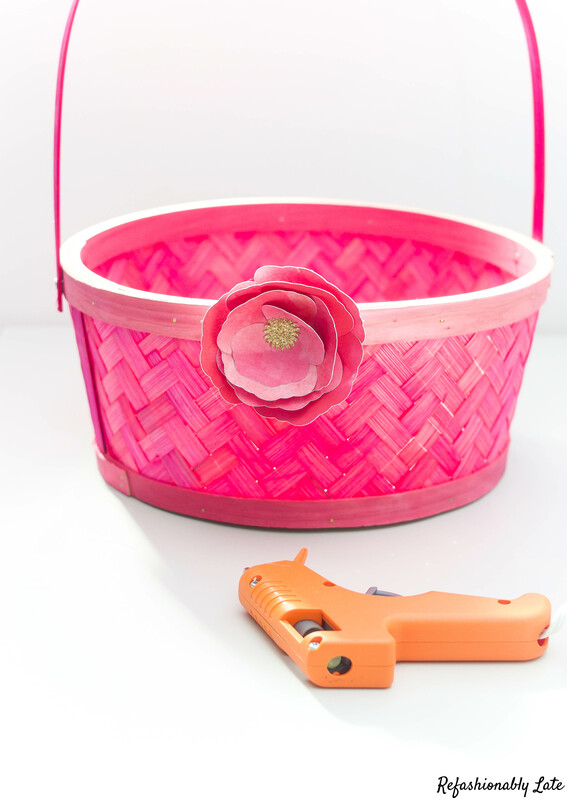 I continued to use the hot glue gun to glue the flowers to the basket. Once the flowers are all in place it’s now time for the fun part! Filling it with decorations and candy! 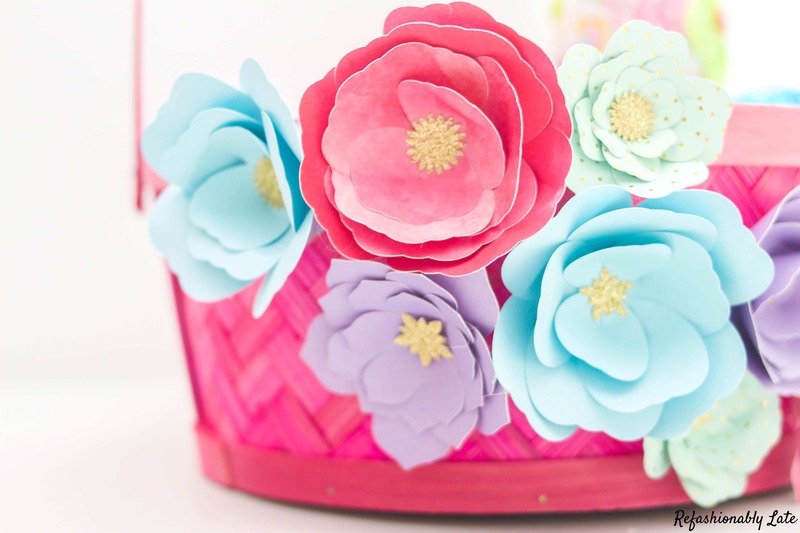 The Hunt Is On to make your own flower basket now! Grab your own bag of Spring Mix Minis and get to work! 🙂 I can’t wait to get decorated for the holiday and add some bright pastel colors to my home decor! Click here for my inspiration with these beautiful colors! 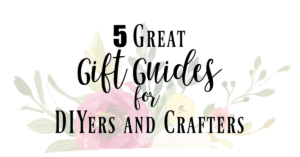 Have you ever made paper flowers before? Aren’t they so beautiful and simple! 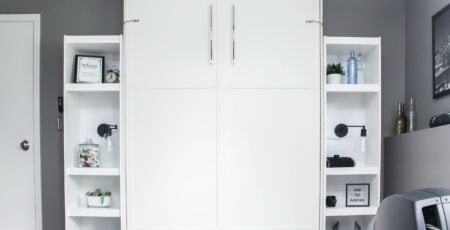 I love how you can customize them to your own taste and the possibilities are endless! I hope everyone has a wonderful Thursday and I will see you tomorrow for my Friday Favorites! Wow, this looks awesome. You did it nicely. I love the uses of different color paper to make this. Can’t wait to make this. Thanks for the sharing this. 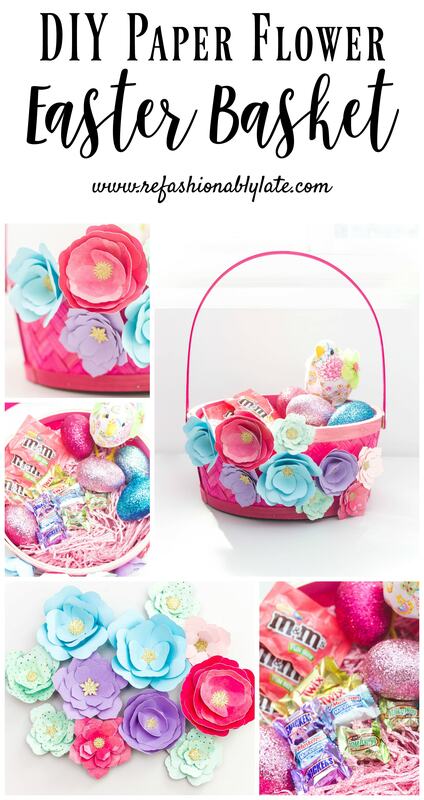 Your paper flower easter basket is so creative! Very beautiful!